Stokes Croft is a place to question everything. Below are pictured some of the walls that have been painted in the last year. 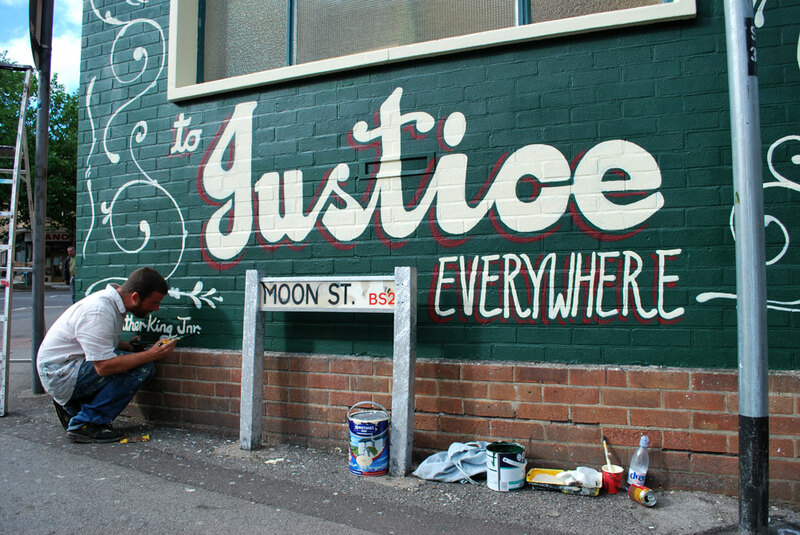 Stokes Croft has become an outdoor gallery, the walls a medium of expression where dialogue continues to take place. Stokes Croft is a vibrant Community in the heart of Bristol. The area has pioneered a liberal attitude towards street art, and is working towards an alternative to conventional top down government. 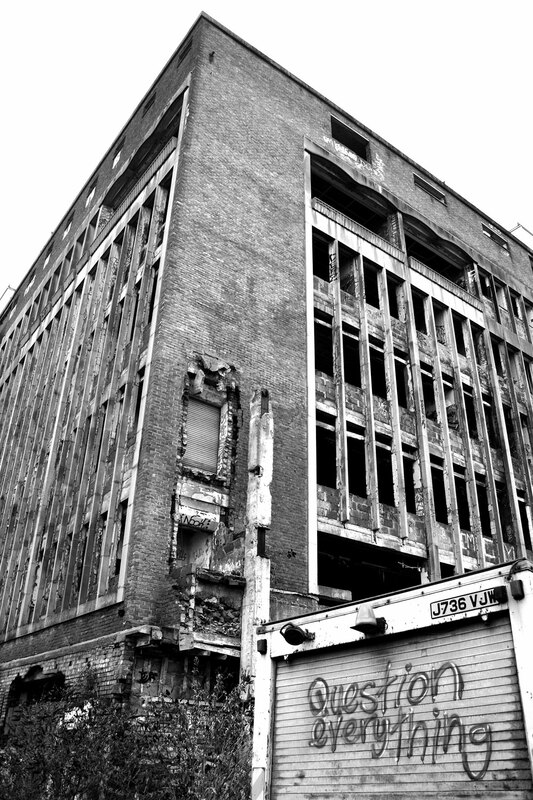 Liberal attitudes have led to a blossoming of positive energy as this part of the City, neglected and abused by planners and local government, forges its own future, resisting conventional gentrification and the pressures of developers and corporate business, safeguarding its unique identity against the blandification threatened by conventional development. 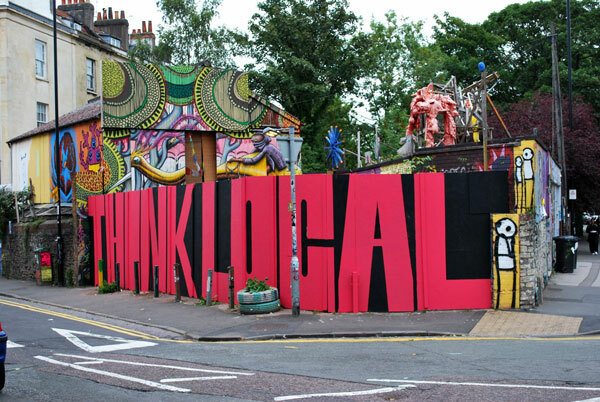 “Think Local” Mural painted on the Magpie squat hoardings in 2010, in reaction to the proposed opening of an unwanted Tesco Store in Cheltenham Road. Paris works on The Martin Luther King Quotation mural on the Avon and Bristol Law Centre at the bottom of Stokes Croft. 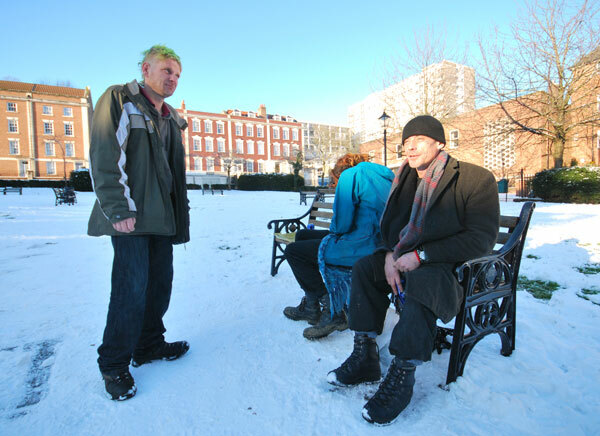 In Stokes Croft , we find a tolerance and sense of community that is central to what is special about Stokes Croft.